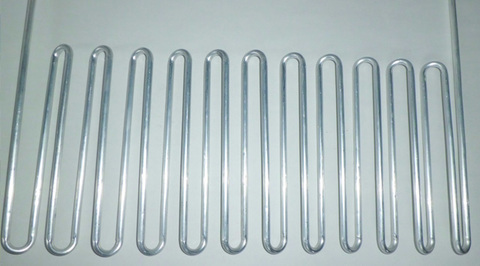 Serpentine-shape benders are available also. 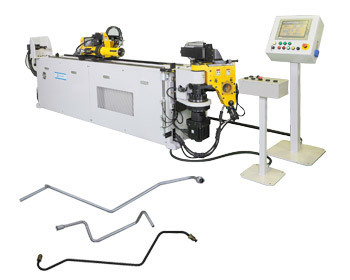 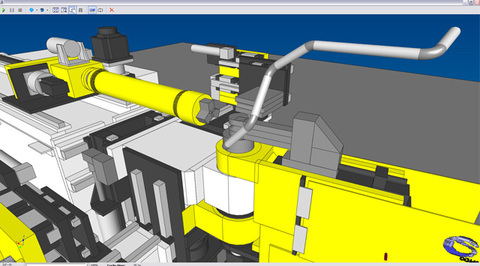 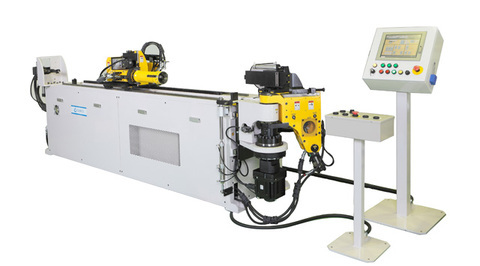 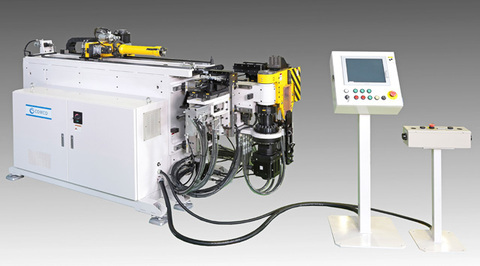 Faster CNC Tube and Pipe benders with functions enhanced by newly designed controls. 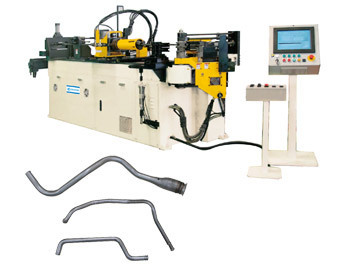 COMCO CNC Tube benders handle a wide range of bending operations of tubes with diameters from 4.76 mm to over 100 mm. 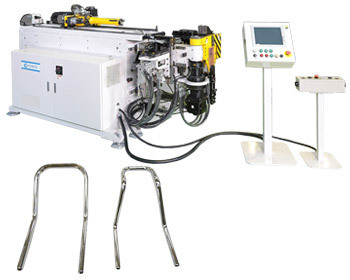 The COMCO product lines range from small process equipment for automotive components and home electric and electronic appliances to large machines used for plants, ships and nuclear power generation componentry. 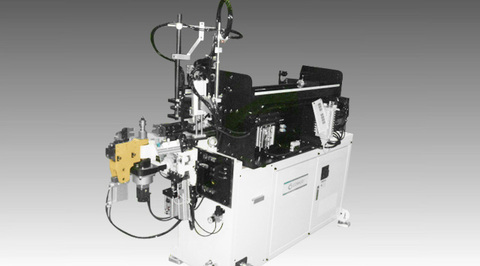 Model TWS-15WD: Side-to-side bending allows interference to be avoided.